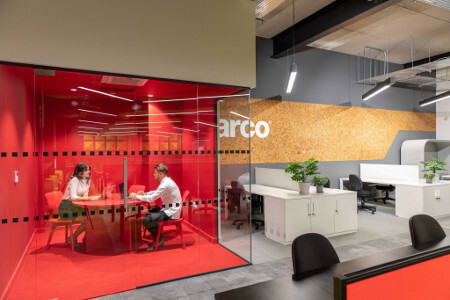 The project’s aim was to radically modernise Arco’s traditional workspace environment, and to renew and correctly represent the company’s brand internally. 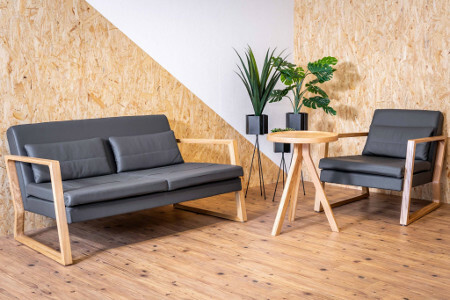 It was an essential part of the brief to create multiple spaces for brainstorming, fast meetings, large group breakout and laptop working, as well as relaxation areas in the work café and city garden. 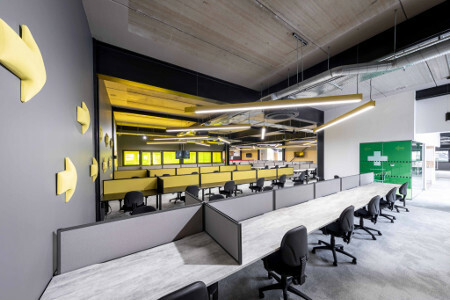 Using only Boss Design seating products for the whole project, RFD and Boss worked together to achieve an amazing outcome for Arco, which has made them rethink the way they deliver workspaces to their staff. Several informal breakout zones were created for the new centre, using Boss Design’s Cocoon soft seating booth designed for team meetings or a base for the day. Cocoon combines the sit and posture of a tradition desk and task chair, accompanied with the comfort of a sofa. Agent bench seating and tables with a European Oak finish were chosen for collaborative tasks. In the staff kitchen space, Luge sofas and armchairs with their characteristic shape provide comfort and style, accompanied by Triad coffee tables. 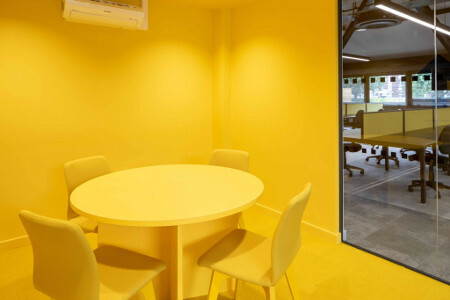 Within full colour architectural glass meeting boxes, RFD experimented with the new painted frame options on Boss Design’s Agent chairs, creating three striking and distinctive spaces in red, yellow and green. 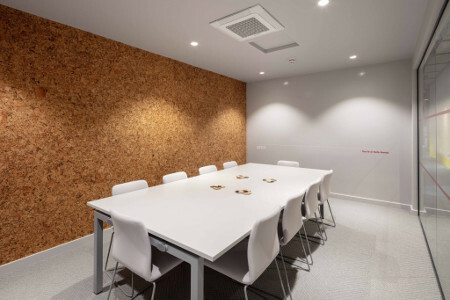 Private meeting rooms and the spacious boardroom were furnished with upholstered Arran chairs were chosen with a matching painted wire frame to provide a stylish yet comfortable chair. Walking in to Arco’s new welcome area, visitors are greeted with a light grey Myriad configuration, accompanied by European Oak Triad side tables, creating a simple and relaxed waiting area. 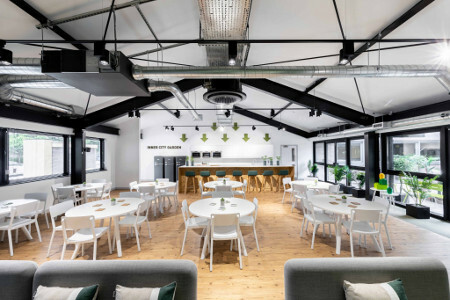 The same Myriad configuration was chosen in the work café, twinned with Agent stools with green upholstered seats and all white Event dining chairs. The café allows employees to refuel and socialise in a comfortable and bright space. RFD specified Boss Design’s Dot operator chair for each individual workstation. With over 200 employees, Arco required a cost effective chair that would still provide the ergonomic support and aesthetic required.